U.S. District Courts for S.D. Ohio, N.D. Ohio, E.D. Ky., E.D. Wis., E.D. Tex. James B. Helmer, Jr. is Senior Partner and President of the Cincinnati office location of Helmer, Martins, Rice & Popham Co., LPA. Mr. Helmer has represented both plaintiffs and defendants in a variety of complex, high stakes lawsuits. His clients have included insurance companies, Fortune 500 companies, law firms, the National Football League, school boards, generic drug manufacturers, franchisees, and individuals. He has been appointed by both state and federal courts as lead class counsel in 10 cases concerning securities fraud, civil rights, environmental law, and violations of the Truth-in-Lending Act. Approximately half of his practice, which is exclusively devoted to litigation, involves the representation of employees blowing the whistle on fraudulent Government contractors. Mr. Helmer has obtained several multi-million dollar jury verdicts and has been trial counsel in over 300 published legal decisions. His False Claims Act cases have returned over $1 Billion to the taxpayers and have resulted in 15 criminal indictments. Mr. Helmer is author of False Claims Act: Whistleblower Litigation (7th Edition BNA/Bloomberg 2017) (Supp. 2018) and co-author of Representing the Terminated Employee in Ohio (2d Ed. Anderson 1997). Mr. Helmer is an honors graduate of Denison University where he played varsity football. His law degree is from the University of Cincinnati College of Law where he served as Editor-in-Chief of the Cincinnati Law Review and was inducted into the Order of the Coif. He began his legal career as a law clerk for the Chief Judge of the United States District Court for the Southern District of Ohio. Mr. Helmer has enjoyed Martindale Hubbell Law Directory’s highest rating, “AV”, since 1981. 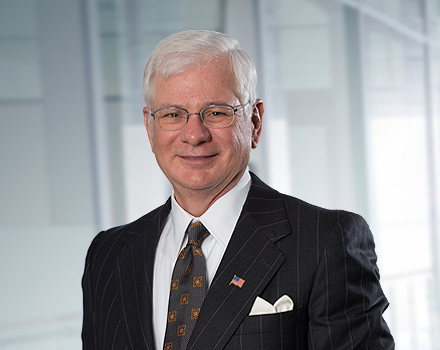 The breadth of his trial experience and success is demonstrated by his being named in the last 25 editions of Best Lawyers in America in numerous categories including Litigation, Labor and Employment Law, Personal Injury Litigation, Corporate Litigation, Bet-the-Company Litigation, Commercial Litigation and Trusts and Estates Litigation. He was selected by the National Law Journal as one of Ohio’s top ten litigators and by Cincinnati Magazine as one of Cincinnati’s top attorneys based on his whistleblower lawsuits. He has been selected as an Ohio Super Lawyer from 2004 through 2019 by Law & Politics Magazine including as a top ten Cincinnati Superlawyer and top 50 Ohio Superlawyer. Mr. Helmer is a member of the Million Dollar Advocates Forum, Scribes, the National Society of Writers on Legal Subjects, and the President’s Council of Taxpayer’s Against Fraud. He has served on the Board of Visitors of the University of Cincinnati College of Law Dean’s Council and including as co-chair of the Building Committee for a new College of Law building. He was a founding member of the National Employment Lawyers Association and the Potter Stewart American Inn of Court. He is a recipient of the Chuck Craig/Joe Ward Memorial Coaches Award as the basketball Coach of the Year for 2003 and the Nicholas Longworth III Alumni Achievement Award for Distinguished Professional Service from the University of Cincinnati College of Law in 2001 as well as the Distinguished Alumni Award from the University of Cincinnati Law Review in 2012. In 2008 he received the Lifetime Achievement Award from Taxpayers Against Fraud for his pioneering work on the federal False Claims Act. He received the University of Cincinnati Alumni Association 2015 Distinguished Alumnus Award on behalf of its 275,000 members, the 1st College of Law graduate so honored, and in 2017 was selected for the Distinguished Alumnus Award by the University of Cincinnati College of Law Alumni Association. In 1985 and 1986 Mr. Helmer’s testimony before the House of Representatives and the United States Senate was pivotal in the 1986 Amendments to the False Claims Act. Congress and President Reagan accepted all of the suggestions Mr. Helmer made for modernizing the statute which has become known as the government’s primary weapon against fraud on the taxpayers and has resulted in the recovery of more than $55 billion. In 2008 he argued Allison Engine Co. v. United States ex rel. Sanders before the United States Supreme Court against former Solicitor General Theodore Olson. The Supreme Court ruled by a 9-0 decision in favor of Mr. Helmer’s client but then interpreted the False Claims Act in a restrictive manner. As a result Mr. Helmer returned to testify before two Congressional Committees in 2008 concerning the clarification of the False Claims Act. Congress overwhelmingly passed the Amendments championed by Mr. Helmer and President Obama signed them into law on May 20, 2009 – Mr. Helmer’s birthday. In 2009 he argued Cundall v. U.S. Bank before the Supreme Court of Ohio. In a 6-1 decision the Court decided in favor of Mr. Helmer’s client on an important issue concerning Ohio trust law which resulted in the dismissal of a $300 million suit against Mr. Helmer’s client. Mr. Helmer’s legal work has been detailed and praised in two books: Giant Killers: The Team and the Law that Helps Whistle-blowers Recover America’s Stolen Billions by Henry Scammell (Atlantic Monthly Press 2004) and At Any Cost: Jack Welch, General Electric, and the Pursuit of Profit by Thomas F. O’Boyle (Vintage Books 1999).